With the opening of Downtown Line 2, foodies now have easier access to many previously hard to reach places (unless you get a cab that is). One of these places is the Rail Mall near Bukit Timah (5 minutes walk from Hillview Station). This reason this place is called the Rail Mall is because the mall is situated next to the former KTM train track. For those who are more adventurous, they can actually bike here via the green corridor though a good and proper mountain bike is highly recommended. Back to the Rail Mall, there are actually quite a few eateries here though most of it are the run of the mill stuff like Eat Noodles, Cedelé etc. Oh, they even have Bao Xiang the string tied bah kut teh here and also Teck Kee Chicken Rice. Though I will not travel all the way out to Bukit Timah for chicken rice and BKT. The reason I am here is a quaint little Italian eatery called Galbiati Gourmet Deli. This restaurant is owned by an Italian chef. 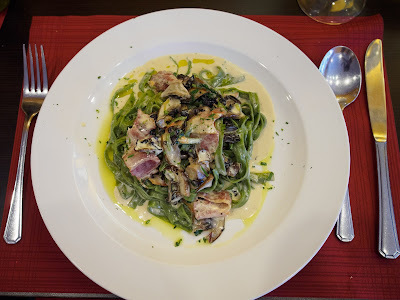 This restaurant prides itself by using the freshest ingredients available and all the food here is made from scratch. Everything from bread, pastry, cakes etc. Yes, this means fresh pasta, which is quite difficult to find at the price point they are offering. Like any true blue Italian restaurant, we were given some complimentary bread to start of our meal. I am glad to announce that true to the restaurant's claim, the bread was fresh and fluffy. 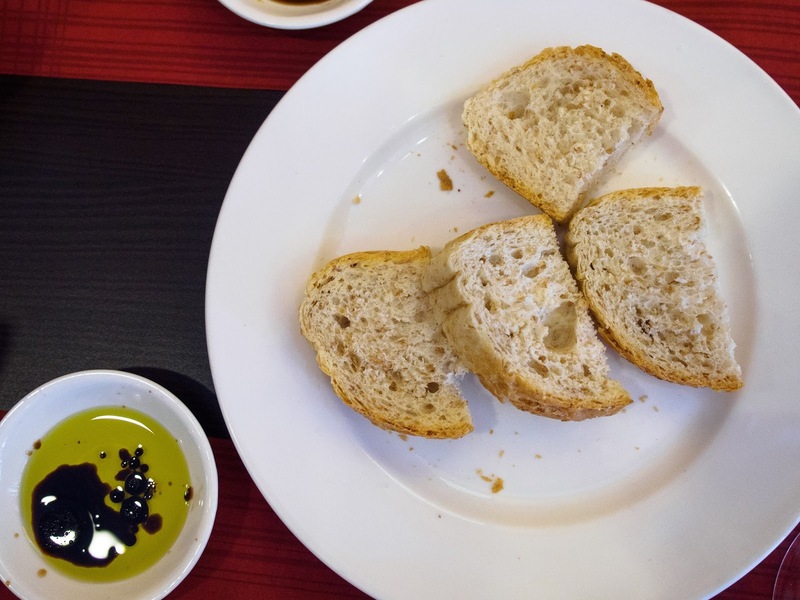 Perfect for dipping into olive oil and some balsamic vinegar. For starters, I ordered the soup of the day, which happened to be clear mushroom soup (S$8.00++) for that day. 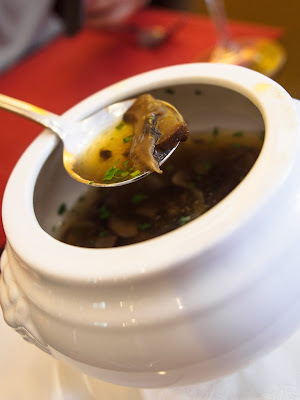 Creamy mushroom soup are a dime a dozen in most western eateries. It is quite rare to get clear mushroom soup. Making clear mushroom soup is actually easier than making cream of mushroom. All you need is a good broth and the freshest mushrooms you can get. The soup served did not disappoint on both counts. Mushrooms were not over boiled. You can still taste that little bit of crunchiness and chewiness in them. The slight "woody" taste is complimented perfectly by the flavourful broth. Not a hint of MSG in it and definitely no need to down glasses of San Pelligrino after the soup. 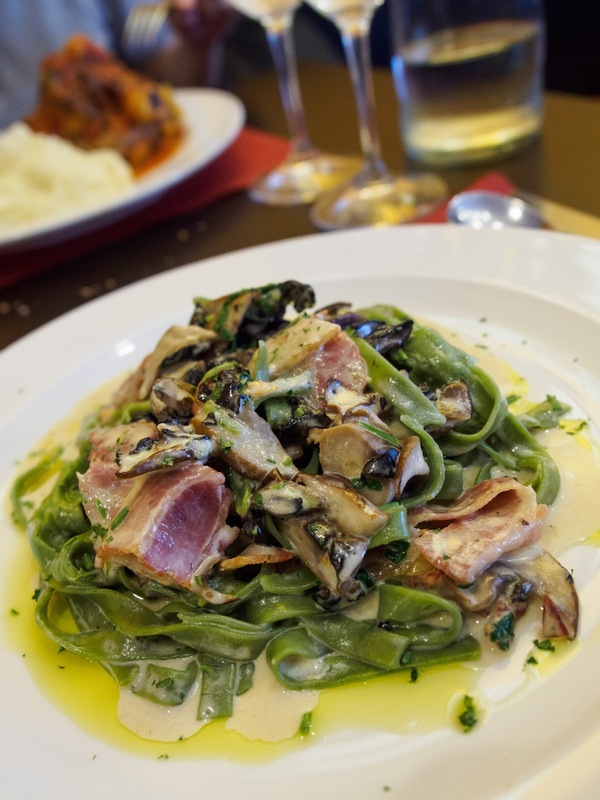 For the main course we decided on Spinach Tagliatelle tossed with Mushrooms and Pancetta in Cream Sauce(S$18++) and Braised Lamb Shank(S$24++) with mash and vegetables. First the Tagliatelle. 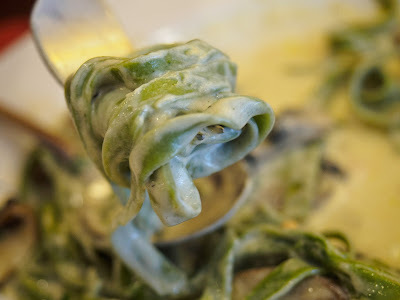 As the chef like to emphasise, the food here are all freshly made from scratch hence the spinach pasta is no exception. The pasta is cooked perfectly al dente and goes really well with the mushroom and pancetta. The cream is not to overpowering, balancing out the saltiness of the pancetta. 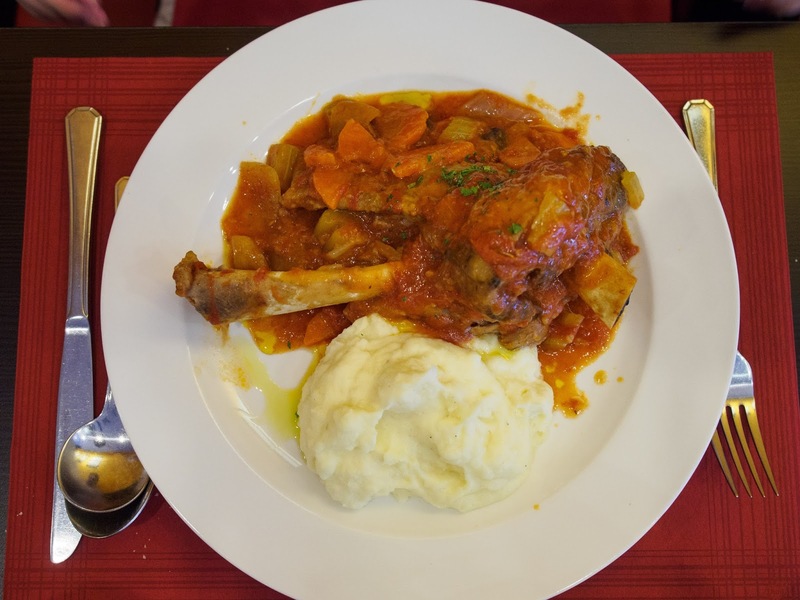 The lamb shank is braised in home made tomato based sauce together with the vegetables to perfection. The meat falls of the bone with minimal effort with the fork. 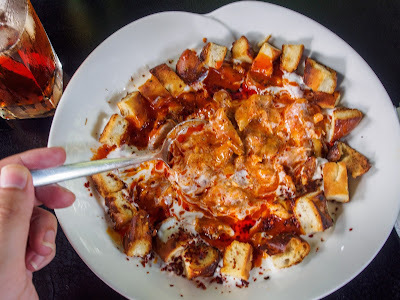 There is just the right amount of sourness in the sauce to balance out the meat. 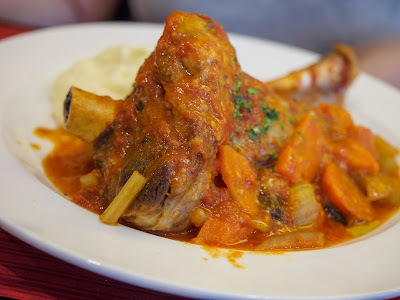 The mash is silky smooth and compliments the dish nicely. For this meal we did not order any dessert. Servings here are actually quite generous and we were full after the mains. All in all, it was quite a satisfying meal and worth the travelling. It is quite difficult to get authentic, non pretentious Italian fare at this price point in Singapore. 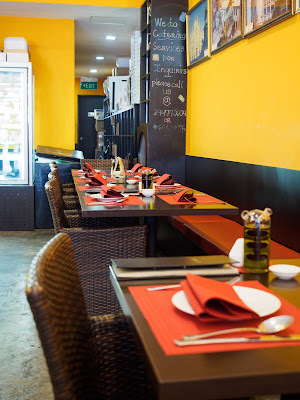 Address : The Rail Mall, 400 Upper Bukit Timah Road, Singapore 678050. 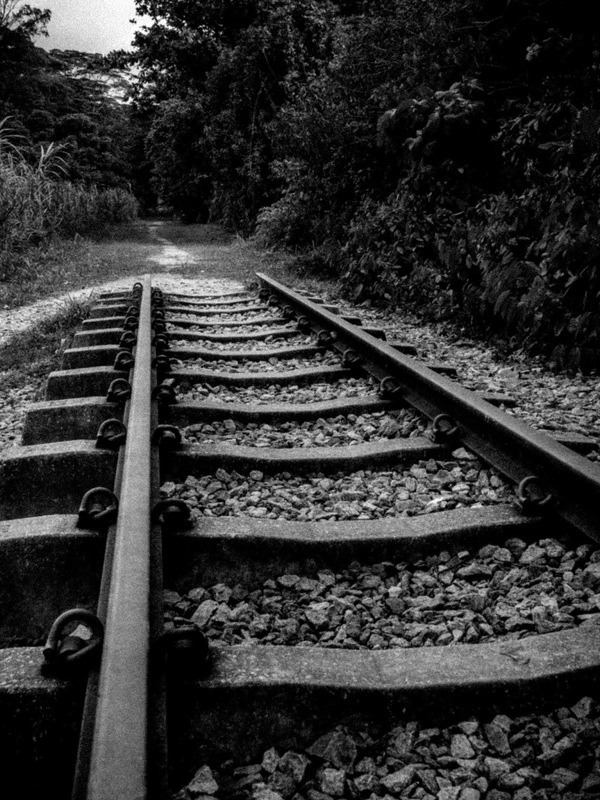 As mentioned, The Rail Mall is actually situated next to the former KTM Railway line that runs all the way to the old Tanjong Pagar Train Station. After lunch, one can actually go for stroll on the green corridor. 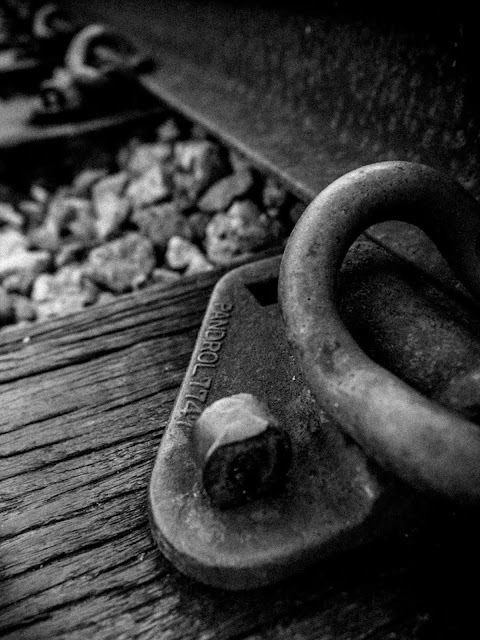 There is even an undisturbed railway section and bridge with sleepers, ballasts (the stones) and all. I would highly recommend anyone who have not being there to experience it before the upgrading works commences on the green corridor. Firstly, let me wish everyone a Happy 2016. I have not being updating this space for quite some time due to some personal commitments over the pass months. Since this is a New Year, what better time than to reactivate this space. People say that a new year often brings new experience. This could had been more true when my sister arranged a meet up with our god sister yesterday at one-north on Sunday. I have passed by Fusionopolis many a times when travelling along the AYE but have never been there. Being a weekend, that place were basically deserted. There were many eateries there but only a few were opened. Amongst those were the mainstream fares like Ya Kun and Pastamania which did not pique our interest. My sister did some googling and decided on Arkadas Café, a Turkish joint ran by a real Turkish man. Not the easiest to find though. When we got off the MRT, the directory states that it is situated at Level 3. Took the escalator up, could not find it. Went to the information counter and was told that they have relocated to the building opposite. It took another enquiry at the security guard counter of the building to locate the restaurant. It is actually tucked away at the opposite end of the building. 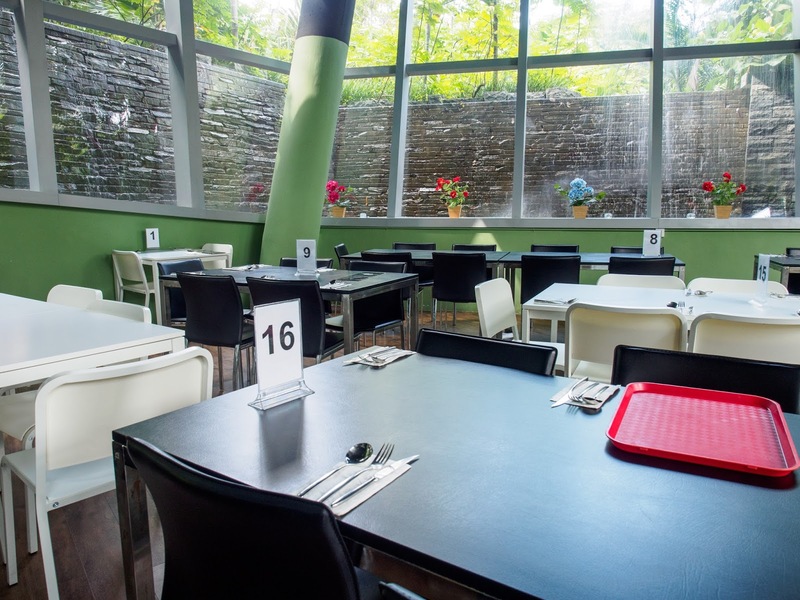 The first thing you would notice about this quaint restaurant is that there is a very down to earth feel to it. No pretentious decorations. Just some Turkey tourism posters adorning the walls. We were greeted by the very friendly owner who speaks a sputtering of English. Since it was a weekend and I would had imagined that the bulk of the business would be the office lunch crowd, there were only 2 other tables that were occupied. One by a family and another table by 2 friends. Both tables were of course, Turkish or of Mediterranean decent. I guess not many people would travel to this part of the island for authentic Turkish fare. The friendly owner (sorry, didn't got your name) went to great lengths to explain the menu to us. We decided to start our lunch off with the appetiser platter. 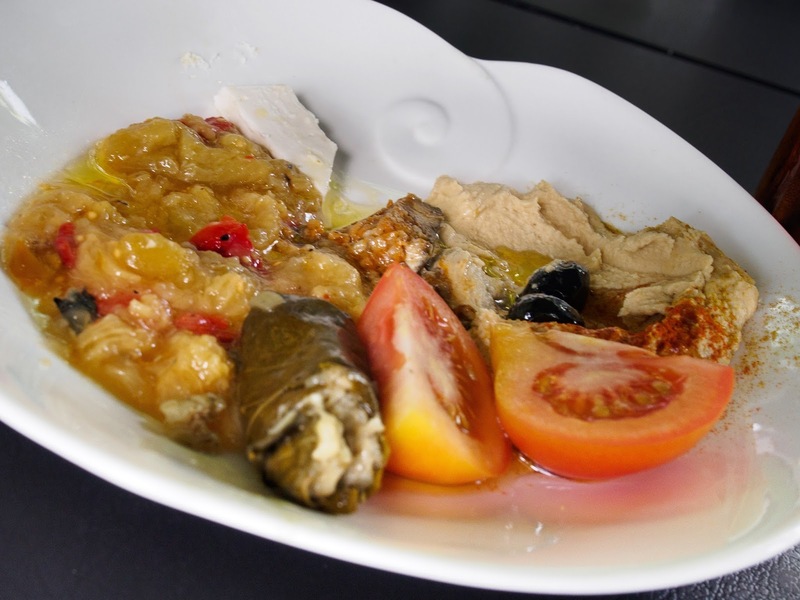 It comes with a combination of Baba Ganoush, Hummus, stuffed brinjal, a piece of feta cheese and stuffed grape leaf. The most interesting item in this platter is the stuffed grape leaf. Basically it is the grape leaf is stuffed with rice and rolled into a tube. It taste a bit like lotus leaf rice but we can eat the leaf. The goat cheese was good too as it was not over powering. The Baba Ganoush served here is a bit different from what we use to get. Instead of a creamy consistency like hummus, you can still see the caramelised chunks of brinjals in this. It's a bit like chutney if you or savoury preserve if you may. The appetiser platter is served with a serving of freshly made turkish bread, perfect for dipping into the humus and baba ganoush. The first main course that we ordered was the Izgara Kofte or Meatball Kofte. 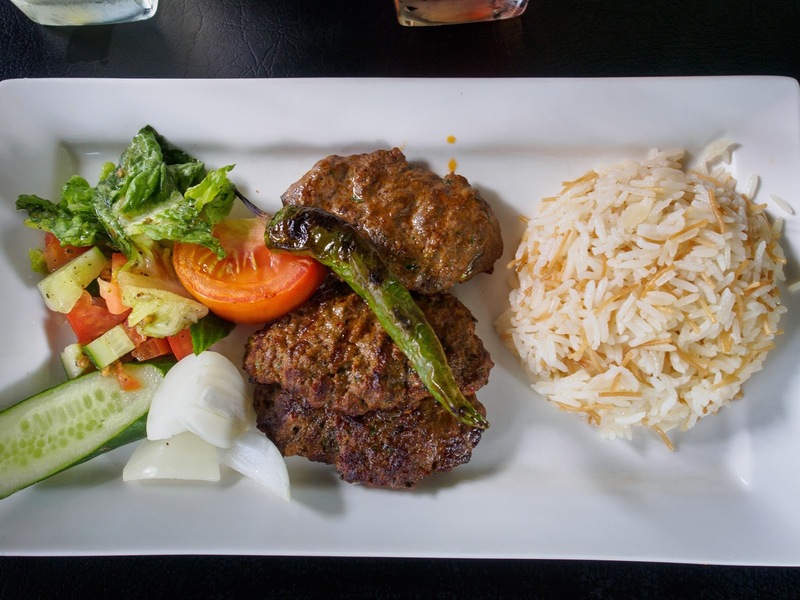 The kofte is served with a side salad, some onions, a grilled green chilli and butter rice. The ratio of spices and meat in the meatballs were just perfect with one complementing the other. They were grilled to perfection, succulent and juicy. Next 2 main courses were quite similar. 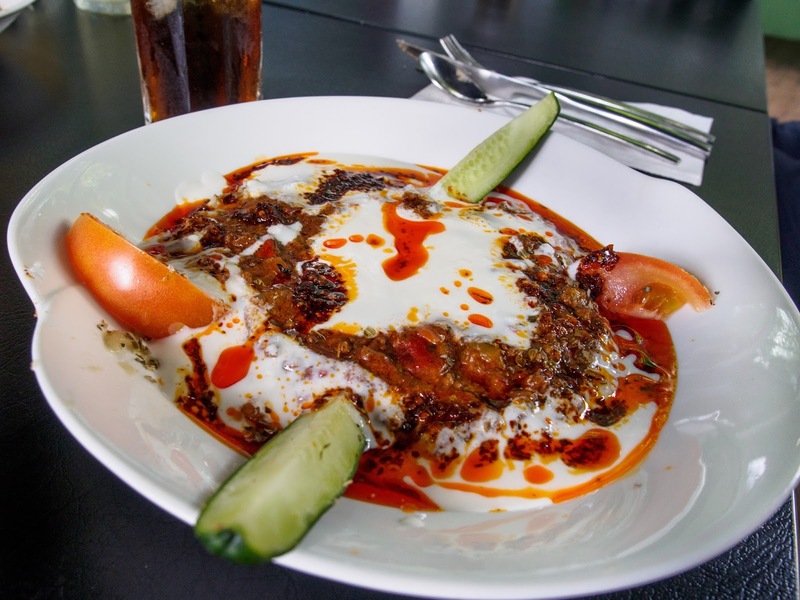 The first was a dish of minced lamb in tomato sauce and yoghurt. The second was sliced doner kebab in tomato and yoghurt sauce. According to the menu, these 2, especially the lamb dish, are very traditional turkish dish that one would find in any Turkish home. We were new to these dishes and we actually quite like it. The slight sourness of the tomato sauce and yoghurt balanced out the meat perfectly making this a surprisingly refreshing dish. 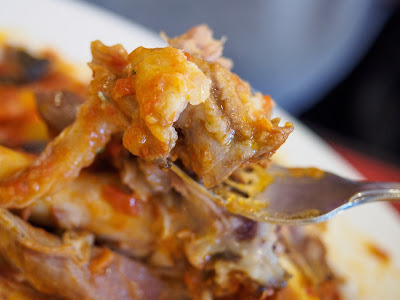 The 2 dishes can actually be eaten on its own like a stew but top some of it on the butter rice or dip some bread into it, makes it a perfect meal. For the dessert, we were recommended something called the kunefe. 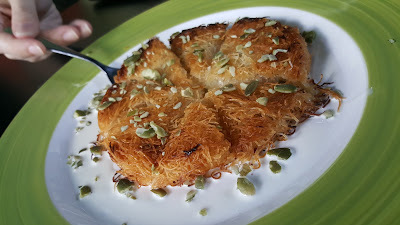 This is actually a pastry dish made from something called shredded phyllo dough which resembles bee hoon. 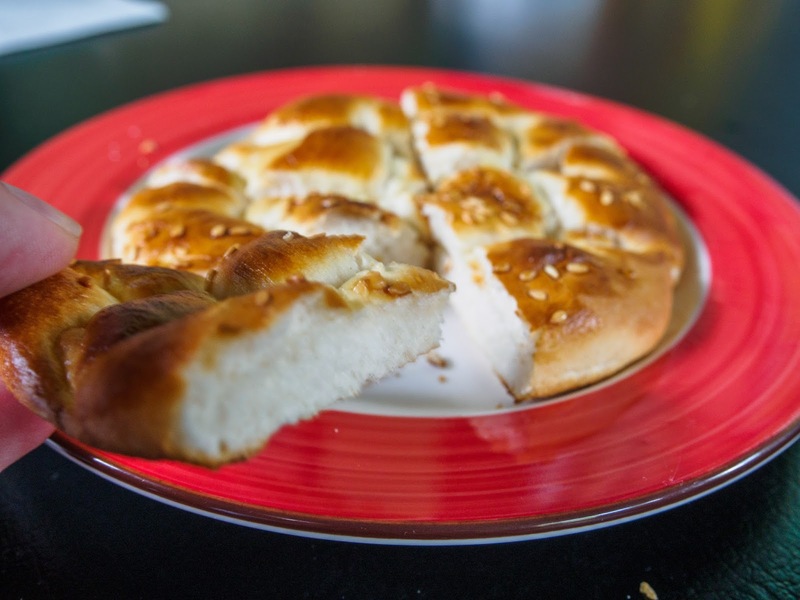 The shredded dough is mixed with cheese to make a round shaped pastry. The finished product looks like a cake of bee hoon. Well, it actually does taste like a sweet pastry made of bee hoon and topped with cheese. As a summary, we did enjoy the lunch experience there. For one it is quite difficult to find authentic Turkish cuisine in Singapore. There are a few in Arab Street area though those are authentic, they can be quite pretentious and pricey. From the photos, you can tell that the food here is actually quite down to earth. No fancy platting and stuff. Heck, look at the appetiser platter it seems like the kitchen just plonked the stuff onto a plate without much thought (I am not saying it is a bad thing). Price wise I would say it is of the moderate range. A meal for 5 adults and 2 children came up to approximately S$140. There are a few other dishes that I did not review as I did not try it (mainly the standard sis kebab, baked rice and doner kebab pita wrap). The question is will I purposely travel all the way to one north again to visit Arkadas Café? Well, I definitely would if I have a very strong craving for Turkish fare. After all, it's not too inaccessible with the MRT.